Happy Monday, dear readers! I hope you had a wonderful weekend, and for those that celebrated Easter, I hope you were able to spend time with your loved ones. It was a pretty low-key weekend for us, with the boys' egg hunt being one of the highlights. I'm eager to get to today's post so I'm going to keep the chitchat short and dive right on in. Let's do this! 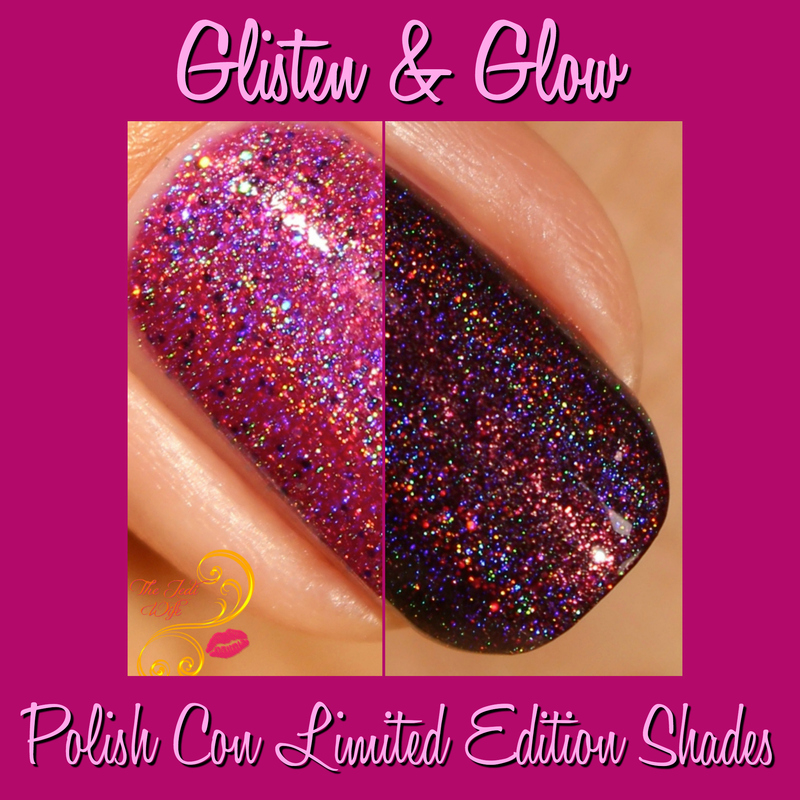 I had the pleasure of swatching the limited edition polishes created by Glisten & Glow for Polish Con New York in Brooklyn later this month. These holographic beauties are sure to steal your heart as they have certainly claimed mine! Let's check them out! 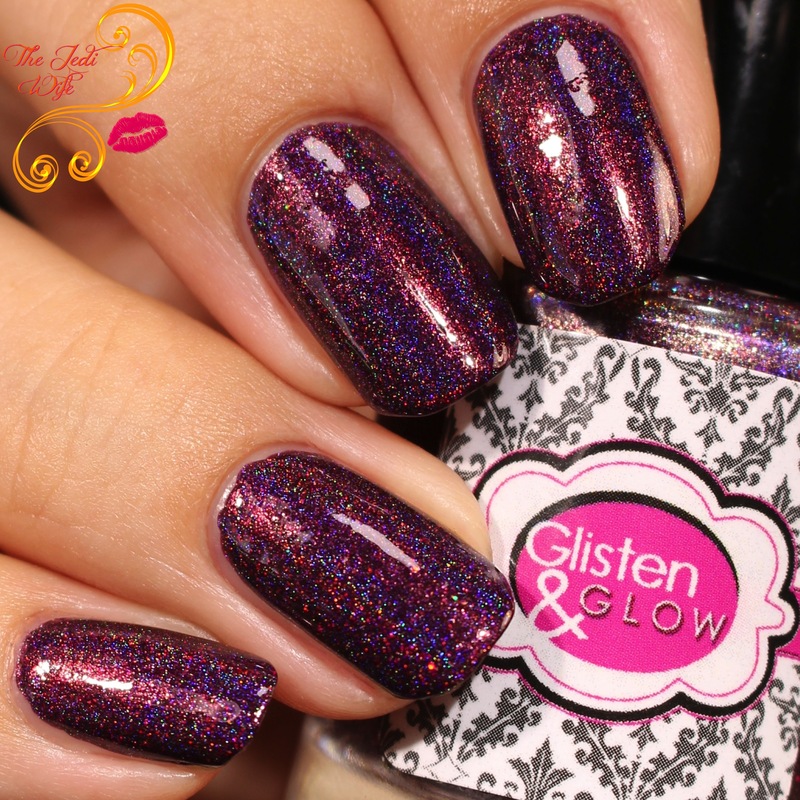 NYC is my Jam is described as a berry colored linear holographic polish loaded with purple and blue holo microglitters and a dusting of silver holo microglitters and copper shimmer. I adore this colour- darker pinks are some of my favorites in general, and I am smitten with this beauty! I love the additional microglitters as they add a fun spin without overpowering the base shade. Because of the microglitters, it does dry to a slightly textured finish and requires a coat or two of top coat for a smooth finish. The formula was superb and it applied beautifully to opacity with two coats. Those who paint with ultra thin coats or have long nails may find they need a third for opacity, but it is well worth it for this gorgeous shade! Hello, gorgeous! 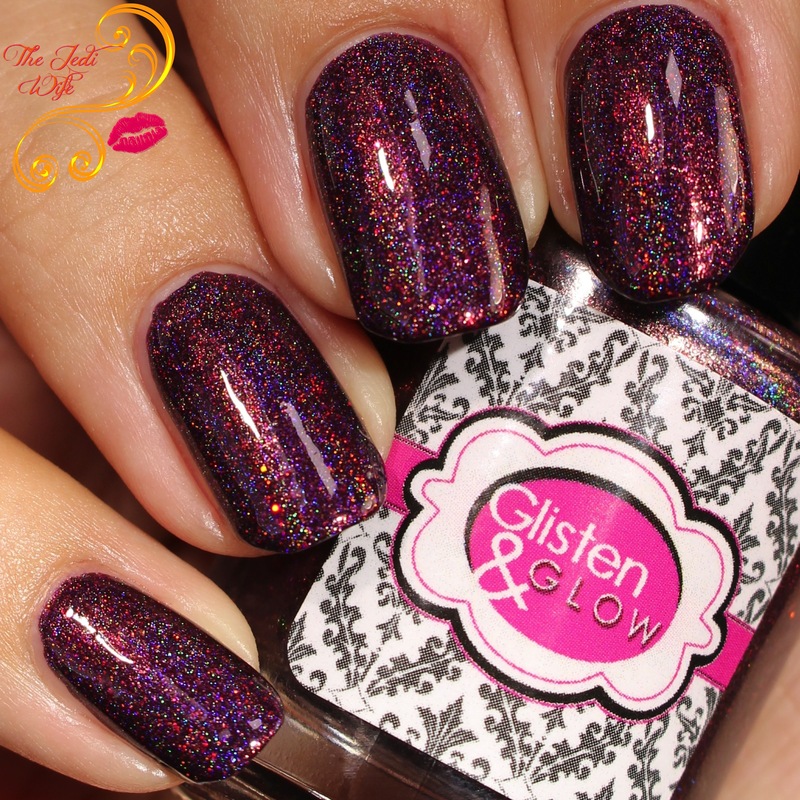 A Raisin to Believe is described as a dark vampy purple toned burgundy linear holographic polish with added pops of red holo microglitter. 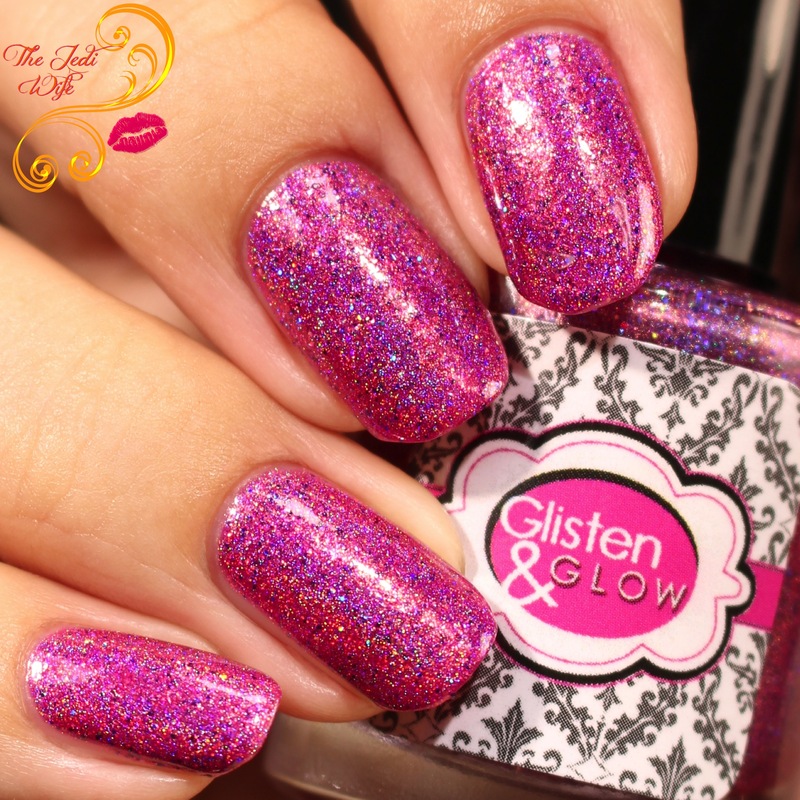 Designed as a collaboration between Glisten & Glow and beauty blogger Nicole from Hello Miss Niki, this polish is a great option for those that prefer to adorn their nails with darker shades in a sea of spring pastels! The formula is easy to work with a densely pigmented; while I used two coats here, it was almost a one coater for me. Those that paint with thicker coats or have shorter nails likely will only need to use one coat for opacity. NYC is my Jam and A Raisin to Believe are limited edition shades that will be released at Polish Con New York in Brooklyn, NY on April 29th. Should any bottles be available after Polish Con, remaining stock will be sold at www.glistenandglow.com. Only one batch of these beauties has been made, and they will not be remade once that have sold out. If you are unable to attend Polish Con, I strongly encourage you to find a friend that is attending to pick these up for you! What is your favorite shade between these two? I'm having a hard time choosing a favorite and would love to hear what you think! I'm loving that extra sparkle in NYC is my jam! These are beautiful! NYC is my Jam is one I might have to pick up for my kiddo! I cant pick a favorite. Don't even try to make me. I adore A Raisin to Believe. I'm one of those who prefer deeper shades in Spring/Summer! Why conform, lol! Wow! These both are talking to me! I can't wait to get them! I kind of prefer A Raisin to Believe, but I usually lean toward the deeper colors. It's super gorgeous, but of course they both are! A Raisin to Believe is so gorgeous! I will be picking up both of these! 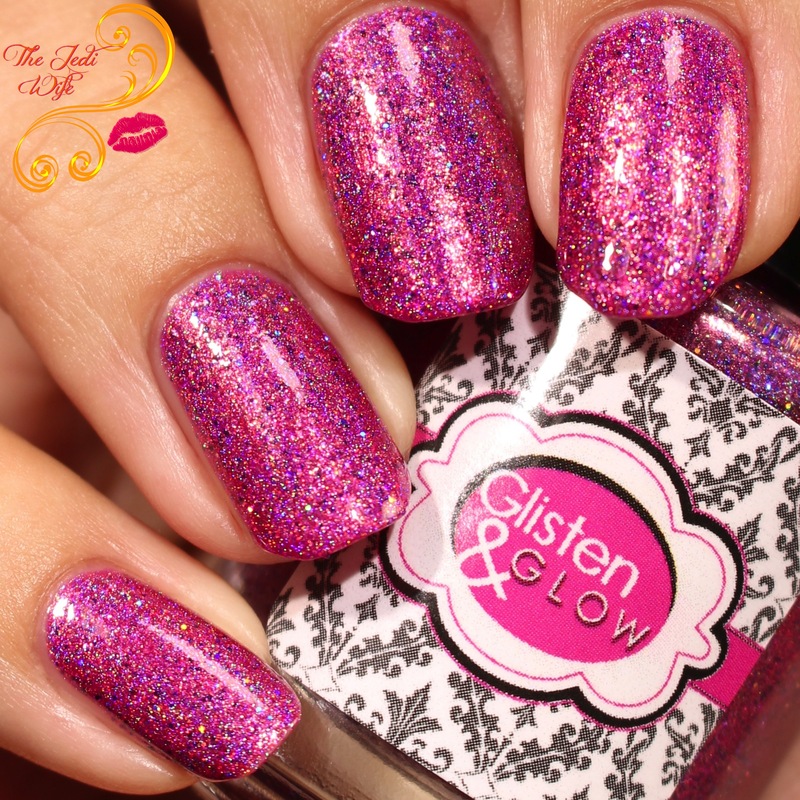 I really like Glisten and Glow polishes, and these colors are stunning! Gorgeous swatches. My heart aches a bit at the thought of thesebeing PolishCon LE polishes. Gorgeous duo! Sad I'll be missing out on the NY fun! A Raisin to Believe is spectacular! !